Palette is an incredibly simple way to create great color palettes based on everyday things. 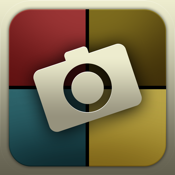 Take a photo to make a palette. 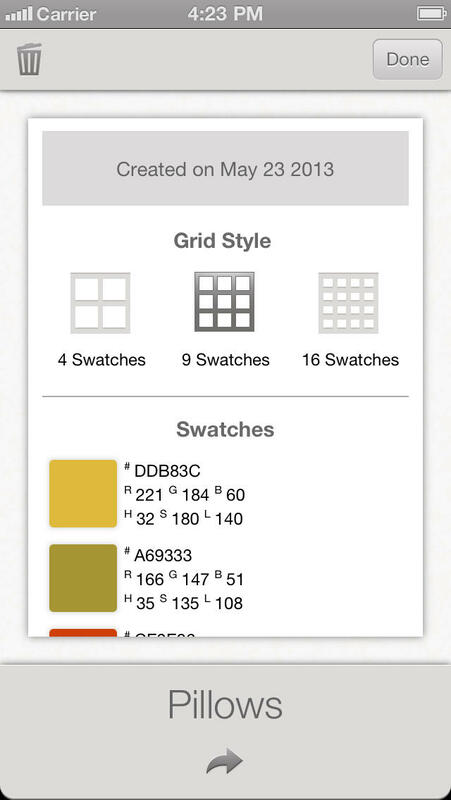 With Palette's simple color swatch editing tool, you can quickly customize your palettes to get them just right. You can easily share them with your friends, family, co-workers or yourself. Palette generates an easy to understand and use email message that lists all of your color swatches and their values in RGB, HSL and HEX. Now when you see something that inspires you, you can just simply take a picture and create a useful color palette wherever you happen to be.